Since launching our email marketing campaigns last month, I've been thinking about what kinds of content I want to include in our upcoming email newsletters. It's often more efficient and useful to repurpose content you already have, or content that you can create quickly. Here are some ideas for email marketing content for inclusion in your newsletters. 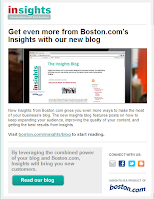 Blog posts - This is one of the easiest ways to include quality content in your newsletters. Include snippets of your blog posts in your newsletters to drive traffic and readers to your blog, by teasing them with a great opening and providing a "read more" link. Social media posts - Did you have a great Facebook post or tweet last week that you know would be beneficial to your newsletter subscribers to check out? Add it into your next newsletter. Maybe you could even have a section in your newsletter where you post the most viral social media posts of the week. Special offers - Are you offering a great discount on a special product during the month of February? Do you know you'll be running a special for March? Include your special offers in your newsletters to ensure your audience knows about and will take advantage of your deals. Analytics - Last month, did you see some impressive analytics? Are you excited about the jump in sales for a certain product? Share those metrics and analytics with your newsletter subscribers and share why you think you saw those specific numbers rose (or fall in some cases). Product updates - If you're enhancing your iPhone app or adding a new section to your store or website, be sure to include it in your newsletter. Hopefully, your subscribers will check out the new features and forward these updates along to family and friends. Announcements - Are you launching a new product line? A new business initiative? An iPhone app? Include it in your newsletters, so your loyal subscribers are first to know and to take advantage! Upcoming events - Are you hosting an event, or attending an event your subscribers would be interested in? Make sure to tell them about it. Provide links to the event listings online, so they have all the details they'll need. 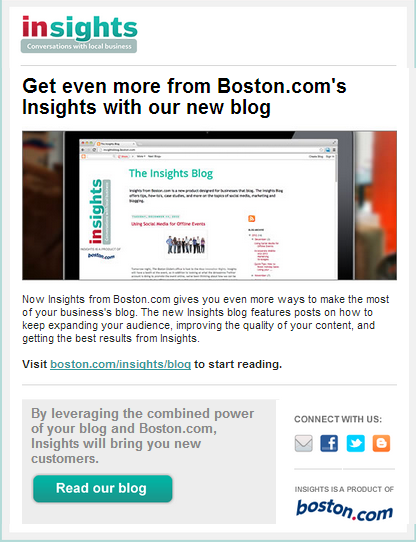 If you enhance your newsletters with some of those tips above, you'll likely gain more subscribers and customers. People are interested in your business and all the things that come with it, if they're signing up for your newsletter, so tell them all the exciting things you have going on and to offer! Do you have any more tips for newsletter content? Add them in the comments below! Thanks for sharing! I'm just getting started on e-mail marketing and mobile marketing. I'm personally big on social media marketing and content marketing. But I still follow traditional practices like direct mail campaigns with the use of an envelope printer. If we say email marking is a content and image marketing, then it is not false. Now most of person only see the title of email and decide, it's useful or not. I am agree with your point about content marketing.